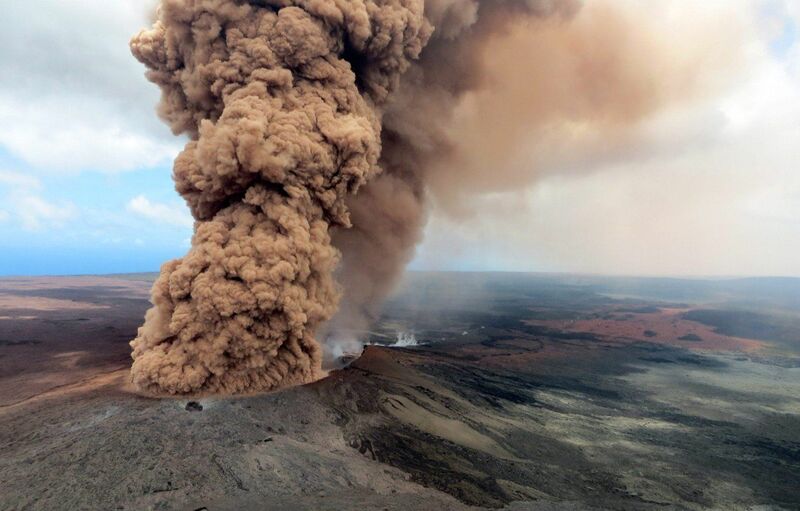 Eruption of Kilauea Volcano in Hawaii took place under unusual circumstances. American researchers have concluded that the devastating eruption of Kilauea volcano this summer in Hawaii is an unprecedented volcanic event, as occurred in circumstances that were not previously observed. Kilauea is considered the most active volcano in the world, so scientists installed many sensors in the area beforehand in the hope of obtaining more data: a volcanic eruption in late May-early June was accompanied by a large spread of lava, which destroyed many houses and changed part of the island’s landscape, and provided enormous volumes of information, giving an unprecedented picture of the eruption. In an article published in the journal Science, researchers describe the sequence of these events and why they differ from other volcanic eruptions. The researchers found that the caldera – a circus-shaped depression formed by the eruption – did not appear at all as expected. Firstly, it went down about 500 meters deep, and secondly, the process itself took place step by step – a total of 62 stages were recorded. Scientists were also surprised to find that groundwater did not play a significant role in the explosions that occurred during the destruction of the caldera: they were caused by piston-type pressure resulting from each deflation. Another unexpected discovery was the fact that in those parts of the sea, where a large amount of melted lava suddenly fell, life returned in just 100 days. It turned out that iron bacteria took advantage of the moment and “settled” in the deposited lava flows. Scientists also found evidence of hydrothermal activity in those areas. This observation is important, as it was previously believed that more time was needed. Now the volcano has subsided, but researchers continue to explore its surroundings – especially those located along the rift zone of the lower part of the eastern side of Kilauea – in search of evidence for new activity. In addition, their close attention extends to another large volcano – Mauna Loa on the Big Island. There have already been instances of his activity in history at the very time when Kilauea fell silent.